Kansas City, Mo. – Invicta Fighting Championships today announced the entire fight card for Invicta FC 12, which will stream live and exclusively on UFC Fight Pass on Friday, April 24, from the Municipal Auditorium in Kansas City, Mo. Headlining the event will be a strawweight title fight between Katja Kankaanpää (10-1-1) and Livia Renata Souza (7-0). 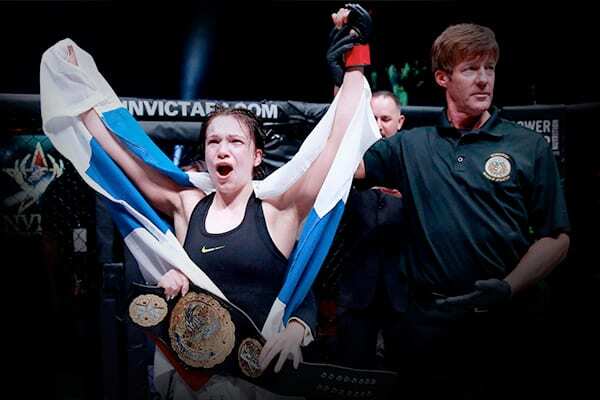 Finland’s Kankaanpää captured Invicta gold at Invicta FC 8 in September with a fifth-round submission win over Stephanie Eggink. The 33-year-old has amassed 10 wins in her 12 career fights and will look to defend her 115-pound belt for the first time. The Brazilian Souza will enter the contest with an unblemished record. Six of the 24-year-old’s wins have come via submission, including five in the first round. The fight with Kankaanpää will also be Souza’s promotional debut. In the night’s co-main event, flyweight Roxanne Modafferi (17-11) will square off with Brazilian Vanessa Porto (17-6). The pair met previously in 2008, with Modafferi earning a third-round TKO victory. 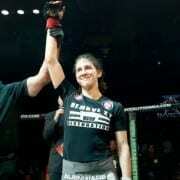 Modafferi has earned back-to-back wins inside the Invicta cage, earning decisions over Tara LaRosa and Andrea Lee. Porto, who challenged for the Invicta title at Invicta FC 5, also rides a two-fight winning streak, including a decision win over Zoila Frausto at Invicta FC 7. Tickets for Invicta FC 12 will be available for sale tomorrow, March 27, at 10 a.m. CDT at Ticketmaster.com, all Ticketmaster locations, and the Municipal Auditorium box office.